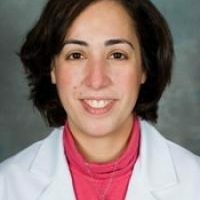 Rosemarie Fernandez is an Associate Professor in Emergency Medicine at the University of Washington. She is the Director of Simulation for Emergency Medicine and has a significant role in the development of simulation-based research programs. Dr. Fernandez has expertise in both simulation-based research and team performance research. She has focused much of her work on using simulation to understand and improve resuscitation processes for both in-hospital and out-of-hospital emergencies. Dr. Fernandez has been a Principal Investigator on simulation-based grants funded by the Blue Cross Blue of Michigan Foundation, the Emergency Medicine Patient Safety Foundation, the Agency for Healthcare Research and Quality ,and the Department of Defense. Her current work focuses on understanding how team and leadership processes impact the delivery of care during critical care events. She was recently recognized by the Academy for Women in Academic Emergency Medicine Award for Outstanding Achievement in Research. Dr. Fernandez spends a significant amount of time mentoring junior faculty and was recently awarded the Mentorship Award for Recognition of Outstanding Mentorship from the University of Washington Department of Medicine.